If you haven't seen the current CNN special, "Black in America" with Soledad O'Brien, in my opinion you definitely should. Click on the title line above to tour the website. Once you've seen it or if you have already seen it, I'd love your feedback. It rings true, very true with much of what we experience day-to-day in inner city Dallas. For reflections on the series visit the blog of my partner, Gerald Britt (http://www.changethewind.org/). A hospital gown. . . I serve on the board of directors at Metro Dallas Homeless Alliance, the non-profit organization that operates our city's new homeless assistance center, The Bridge. Last Thursday afternoon, I sat in a strategic planning committee session at The Bridge. We met in one of the new classrooms. One side of the room is almost all glass that provides a window onto the street just outside. During our conversation, a woman walked down the sidewalk as she made her way to the front gate of the facility. She wore only a hospital patient gown with a matching outer robe, most likely just another bed gown creatively positioned to provide her at least a bit of modesty. Identification and treatment wristbands still in place, she cradled a small box in her arms, no doubt containing some treasure she retrieved from her stay in the hospital. What I saw on her person was likely all that she owned in the world. I expect that she was dropped off at The Bridge by some health care provider who determined her stay was up. The chosen "after care plan" for her was a ride to our facility where she was gladly welcomed in. Her passing reset the purpose of our meeting for me, rendering our detailed discussion of by-laws almost irrelevant, certainly comical. At the same time, her life pressed on us a severe urgency that calls for the most extreme form of merciful compassion and community commitment. As I watched her limp toward our door, I wondered how her story reads. As I pondered her situation, it became very clear that the reasons and the details as to why she arrived in such a state just don't matter at all. My sister has nothing but a hospital gown and a box of tissue. What more do I need to understand? Something happens when I stand beside or, better, in a stream. The farther away from civilization the better, although I've had the experience on streams rolling through towns and cities! 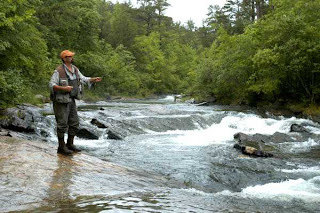 The river, the stream, the surroundings, the relative quiet, the imposed and delightful silence, the pesky fish, the wonderful fatigue of simply walking a stream for several hours--all combine to drive home the truth that all of us are a part of the magnificent, mysterious whole. Why do we find it so hard to focus, to reflect, to retreat for the sake of renewal, but even more for understanding? It is almost as if we resist the places where understanding draws near because we know that life, as we normally live it, remains cut off from deeper reality that would help make sense of every ordinary, routine challenge or problem. To put it simply: I've gone fishing for three days! Here's a classic case of religious practice and the terms of "faithfulness" completely missing the point of life, justice, truth and, yes, common, human decency. This particular example comes from Orthodox Judaism. It could just as well have been a story connected to some Christian entrepreneur. Did you see the story? Read Julia Preston's complete story by clicking on the title line above. It seems that immigration authorities raided a kosher meatpacking plant in Postville, Iowa and found lots to report. In fact, the raid provides a horrifying glimpse into the lives and struggles of undocumented immigrants who work long hours in terrible conditions. Agents found 389 "illegal" immigrants when they raided Agriprocessors Inc., the nation’s largest kosher plant. Among those picked up, more than 20 were found to be under-age, some as young as 13. Having been arrested in violation of immigration law, many of the workers have agreed to cooperate with Immigration and Customs Enforcement (ICE) officials. The details revealed about the jobs at the kosher plant are chilling. Working shifts of 12 hours or longer, often through the night, six days a week, was common practice for many of the workers. When workers reported problems, complained about work conditions or sought relief from their harsh circumstances, management threatened to turn them over to immigration officials. Preston reports, "One, a Guatemalan named Elmer L. who said he was 16 when he started working on the plant’s killing floors, said he worked 17-hour shifts, six days a week. In an affidavit, he said he was constantly tired and did not have time to do anything but work and sleep. 'I was very sad,' he said, 'and I felt like I was a slave.'" Clearly management was aware of the presence of many under-age workers. Due to the dangers associated with the work, Iowa law regulating meatpacking facilities prohibits the hiring of anyone younger than 18 on the floor of a meatpacking plant. The company denies the accusations. Counsel for the immigrant workers maintains that to date she had identified 27 workers under 18 who worked in the packing facility. Federal labor officials used an undercover agent during the investigation. During this phase of the inquiry, the undercover informant saw “a rabbi who was calling employees derogatory names and throwing meat at employees.” Jewish managers provide oversight to ensure that the slaughtering and processing of meat abides by kosher standards in keeping with their faith's requirements. Other egregious practices were reported. Read the entire story. It is more than upsetting. First, any religious rule fixated on a legal or technical requirement that is worked out in a practical context of injustice, exploitation and oppression is foolishly useless. That which seeks to honor God, ends up bringing shame to God's name. Second, this nation needs comprehensive immigration reform that includes a guest worker program providing for workers who simply want to work. Such a guest worker program should include a registration process that is clear and easy to understand and that encourages compliance. Workers must be protected from unscrupulous management that takes advantage of a worker's "illegal" status. This story is more than disturbing. Our nation must do better. Our faith demands it. . .and, by the way, any definition of "kosher" (no matter what the faith tradition) should include the just, fair treatment of all who simply want to work and make a living for themselves and their families. The silence of so many people of faith relative to this pressing national issue is certainly not "kosher." Looking for solid material on immigration and faith? Click on the title line above to be directed to the Interfaith Worker Justice website and the study guide, "For You Were Once a Stranger: Immigration in the U. S. Through the Lens of Faith." Would be a great resource for a study group. At times you just have to stop and find fresh sources of laughter, don't you? Try this: click on the title line above and see what you find. We've had a few tough and demanding weeks here at CDM. So, I had to pass this one along! 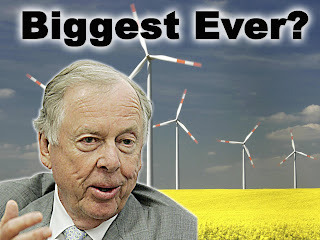 Have you seen T. Boone Pickens on television promoting his plan to make the United States energy independent via wind power and natural gas? Click on the title line above to go to his blog and read more of his plan. Sunday one of his commercial spots played right before Meet the Press aired with Al Gore as the featured guest. 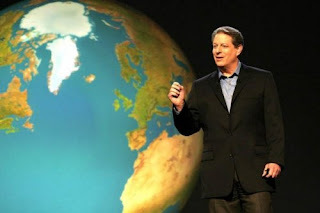 Gore believes we can be completely energy independent in ten years. One thing I know for sure. Something is up when Boone Pickens and Al Gore are in agreement! All week I've been thinking about the potential opportunity for my low-income, struggling friends here in inner city Dallas. What if we could bring together a plan in our city for the development of a whole new industry that demanded the creation of thousands of "green collar" jobs? By that I mean new jobs in the energy production and conservation business that no longer depend on fossil fuels. You know: solar panels, retro-fitting public buildings, installation, manufacturing, maintenance, landscaping, water management, etc. Training our neighbors to work in this arena could radically alter the state of urban America. There is no doubt in my mind that we are on the verge of a new day in this nation when it comes to energy. I just don't want the poor to be bypassed in the amazing revolution that appears to be upon us. Cara Buckley's report, "City Refines Formula to Measure Poverty Rate" (The New York Times, July 14, 2008, spotlights the inadequacy of the current, so-called "federal poverty line." Most people don't realize how the standard was developed or what it was based upon. The poverty measure grew out of a 1955 study that showed that poor Americans spent roughly 1/3 of their after-tax income on food. Since the 1960s, the federal government has estimated its poverty line by tripling the annual cost of groceries for individuals and families of various sizes. Obviously, the standard is inadequate and grossly incomplete. Thanks to the leadership of New York City Mayor Michael Bloomberg, the city recently unveiled a new standard for determining and measuring poverty levels. The New York test factors in costs such as housing, child care, clothing and other expenses not included in the formula used by the federal government. The plan also points up the fact that the cost of living varies from location to location across the nation. Bottom line: there are many more Americans living in poverty today than the federal government recognizes in its calculations. Frankly, no surprise to those of us who work in poor areas of urban America. Take the time to read the entire report by clicking on the title line above. Let me know what you think after you've read the story. We have lots of work to do. Gerald Britt, my friend and partner here at Central Dallas Ministries, will be contributing to a new weblog and you need to add it to your favorites list! Take a look at his personal reflections on the recent apology offered by the American Medical Association for its admittedly racist approach to the treatment of African Americans for decades, as well as its racist policies regarding African American physicians. Please clink here and you'll be transported to "Change the Wind," where you'll be able to read Gerald's thoughts on a regular basis. 20 Years! Help us celebrate! 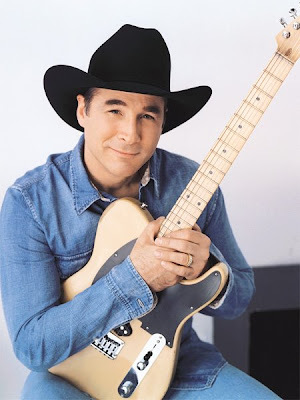 Award winning country vocalist and songwriter, Clint Black will join Central Dallas Ministries on Monday evening, September 29, 2008, for our annual "A Night to Remember" concert and celebration. Doors are at 6:30 p.m. The show will be a barn-burner! Black is making a huge comeback, er, better, "reentry" into the world of country music and public performance. He has even launched his own record label and has new music to perform. Check out all of the options by visiting our website at http://www.centraldallasministries.org/ or just click on the title line above and you'll be directed to an information page that will answer all of your questions about this great event. Can I count on you to stand with us on this very special evening? 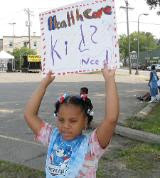 If you care about children and their health, be sure and spend a few moments learning about the All Healthy Children Act that will provide affordable, comprehensive, and seamless health coverage for all children and pregnant women in America—something every child needs today! Simply click on the title above to activate the link to the Children's Defense Fund's site where you'll find all of the information. My friend, Don Haymes just keeps hooking me up with valuable, challenging, thought provoking resources. Check out this conversation with Joe Carter. The subject: African American Spirituals. 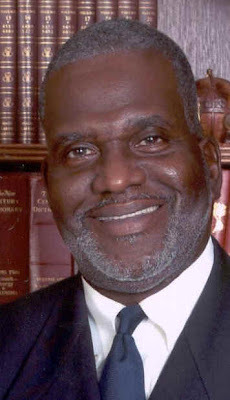 Click on the title line above or go to: http://speakingoffaith.publicradio.org/programs/joecarter/index.shtml. It will worth you time, I promise. Great "Sunday meditation." Sweet music, powerful meaning, very powerful. We need to understand this movement music. A friend sent me the following from the Daily Kos from last Monday, July 14, 2008. Seems to point up the fact that our national press just can't stay on the story that is the story in the moment of the events that they cover. I wonder how much press is shaped by consumer evaluations, rather than by a commitment to report what is actually happening in our culture? Cory, who posts to The Daily Kos here, asks a very good question: When it comes to subjects like poverty, is anyone listening? One additional note: please don't read this as a partisan, political statement from me or this blog site. Poverty should not be regarded as a partisan political issue. Rather, to me and many readers here, poverty is a "value issue." And, there was a day in this nation when both sides of the partisan political divide seemed to care about its resolution. Anyone remember Senator Mark Hatfield, as just one example? A hero of mine. Can We Talk About Poverty? Last Wednesday, I saw John Edwards speak at the Yorkville Common Pantry, a food pantry and soup kitchen in Harlem. After walking into the building, I found myself in the back of a small press conference, just a few feet from Edwards. The beginning of the press conference started out as expected -- he talked about Half in Ten, his anti-poverty campaign to reduce poverty in America by half within the next ten years, and praised the food pantry for their work in New York City. But after his five minute speech, when it was time for questions from the press, the subject quickly turned away from poverty. 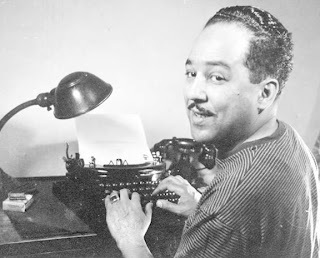 Although Edwards tried his best to talk about poverty, the press just didn't seem to care. Instead, their questions focused almost exclusively on the presidential campaign. If Obama offers you a position as attorney general, will you take it? Is it mere coincidence that you're in New York City within 48 hours of Obama and Clinton's joint appearance here? Do you think that Obama is moving towards the center, and do you support that? In other words, the press was there to see John Edwards. Poverty? You wouldn't have even guessed that's what the event was about. But despite the mainstream media's indifference, poverty matters. According to the Center for American Progress Task Force on Poverty, one in eight Americans currently lives in poverty. That's using the federal definition of the poverty line -- less than $19,971 per year for a family of four. About 31% of Americans live below 200% of the poverty line. Inequality is at record levels, and the U.S. has higher poverty levels than other developed countries. CAP's report, "From Poverty to Prosperity: A National Strategy to Cut Poverty in Half," offers a variety of suggestions to decrease poverty. The suggestions run from increasing the minimum wage to passing the Employee Free Choice Act. They suggest increasing federal support for childcare assistance, increasing Pell Grants, and promoting equitable development of cities. The cost of the plan -- they estimate $90 billion -- would be paid for by rolling back Bush's tax cuts on people who make over $200,000 a year. If the reporters at the Yorkville Common Pantry event had been listening, they might have heard Edwards say that when people are lifted out of poverty and into the middle class America becomes stronger. They might have heard him talk about plans for making food stamp information available over the Internet, making work and education an important part of getting rid of poverty, and importance of integrating affordable housing into the infrastructure of cities and urban areas. But they weren't really listening. Biking home from the event, I got stuck at a long traffic light. I glanced at the enormous Hybird Chevy Tahoe just a foot to the right of my bike and peered through the dark tinted windows. Edwards sat inside, looking thoughtful and ponderous. I almost felt bad for the guy. Can you really effect change if you can't get the mainstream media to care? Edwards had called poverty "the cause of my life," but can he really start that conversation if nobody's listening? Ready for some "Green Giving"? Check out a great opportunity! It's a mistake lots of "service providers" continue to make. Treating people like clients just about always leads to ineffective outcomes. Just here I am driving almost all of my professional social work friends over the edge! I know, I know. Boundaries are important, or so I'm told--grist for a future blog! People who are hungry, "poor," homeless, ill, abandoned, strangers--the list goes on and on as we think about the possibilities attached to being human--don't need professionalism or "service" or case management as much as they need to be treated like "regular people." One of our bright interns related to me her experience of sitting through the entire process a couple went through to get into one of our apartments. There was a case management component of the transaction to insure that they qualified for the funding. But, it was the leasing experience that really encouraged me. The man and the woman were introduced to the property management staff and taken through the same process as anyone else who came in to lease a place. That included the offer of water, cold drinks and cookies which the pertinent information was being collected. Understandably, both of these individuals were a bit tense and nervous, not really knowing where the process was going or what it involved. The fact is, they were treated just like "regular" people. When they got to their new apartments, they were beside themselves with joy, relief and a sense that things were about to really get "regular" at last. I visited The Bridge last Wednesday night. Accompanying me were six other men who are my friends and who share a common commitment to seeing life improve for the homeless population here in Dallas. Use the "Search" tool on this page or Google "The Bridge" to learn more about the new, city-owned facility. And, for full disclosure sake, you should know that I serve on the Board of Directors for the Metro Dallas Homeless Alliance, the organization responsible for its management and operations. I wanted to go there at night. I wanted to be inside after the gates close. I wanted to see firsthand how things were going after about two months operation. While I had been there about once a week since it opened, I had never dropped in after dark. Over 500 people were finding a place to sleep in the pavillion area that includes a covered shelter area with about 200 cots. The balance of the folk were sleeping on mats under the stars of the courtyard area. Another 100 were sheltered inside the transitional housing area of the facility. As before when I've visited, I walked around for about an hour just talking to people--asking how they liked the place, how they were being treated, etc. Not surprisingly, most didn't want to be there. Most were eager to get out and off the streets. There is no doubt that the facility has removed hundreds of people from the streets of Dallas, both at night and during the day. Driving down Young Street toward City Hall during the day, you can observe the noticeable disappearance of a large number of homeless persons, though a handfull persist in camping in their old familiar places. We're also told that "criminal activity" in the Downtown area has dropped significantly. Most of the eliminated offenses are acts of vagrancy that simply have to do with being human. Still, The Bridge provides a place of some respite, support and resources for those who are there. In reality, the place is overwhelmed. Too many people in need, too little space, staff and resources to meet the demand. I gave out lots of business cards and told people about our Destination Home effort that provides permanent, supportive housing to disabled individuals. Before I made it home, I had received two calls and the following day the phone rang steadily with calls from those who were interested. While I could write much more about the experience, I came away with one fundamental understanding: as a community, we must develop, build, open hundreds of additional units of housing for the homeless. Additional housing resources will bring the numbers down at The Bridge. Permanent housing units will open the transitional function of The Bridge to the possibility of success. Without more permanent, supportive housing, The Bridge will not be successful. Without housing resources that are easy to access, no matter how accomplished the management team, success will be impossible. It is my firm belief that many, if not most, of the people I encountered during my most recent visit are currently ready for housing. That is not the question. 1. Does Dallas have the moral and political will to provide the resources to develop the housing that is needed? To meet the challenge and fulfill the need will take new dollars and new risk. But, every dollar invested will return a premium in terms of quality of life in our community for everyone. 2. And, can service providers come to understand that we aren't the secret to success in this endeavor? My experience teaches me that most people don't need me to improve their experience of life. Most need a fair opportunity and all need freedom to choose what services they will take advantage of. Housing first should become our mantra. Those who need special services can be assisted in finding them, but only AFTER they are housed. We must find ways to break the logjam at The Bridge. To me, the solution is very clear: new determination coupled with a new vision for how we respond to the poorest among us. Monday, July 7, The Dallas Morning News published a story about the action of U. S. Congresswoman Eddie Bernice Johnson's private bill filed on behalf of three of the students we have been supporting in U. S. Immigration Court here in Dallas. To read the story click the title line above. To read more on the background of our involvement, use the "search tool" on my blog page by typing in "Monica." 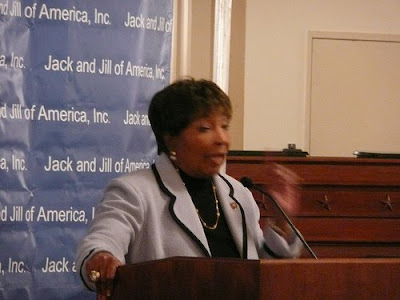 We are grateful for our Congresswoman! We need comprehensive reform and we need the D.R.E.A.M. Act and we need both now. Church and neighborhood. . . Recently, Preston Weaver, our pastoral counselor at Community Health Services and Senior Minister at the Central Dallas Church, sent me the following message by e-mail. Provides an inside look at what it means to "do church" in our community. I'm grateful for Preston's leadership, courage and faithfulness. I think you'll understand my appreciation after reading this brief report on the church's reality. Over the past week, Satan has attempted to kill and destroy what God has created. I am here to say that Satan has not been successful and God still reigns victorious! Here is one of many examples: On Sunday, July 6, at 1:43 am, I received a telephone call from Officer Ferguson of the Dallas Police Department stating that the Church had been broken into, burglarized and the burglar arrested. He asked if I could come and identify what had been taken. Upon our arrival (Barbara accompanied me), we found the building secured except that the burglar broke a double-paned small window (on the fenced side) entered the building, cut himself in the process and proceeded to empty the refrigerator and pantry (120 wieners, 5 lb bag of shredded cheese, 34 quart container of instant lemonade, 34 quart container of instant tea, 150 bags of chips, two 20 lb bags of ice, and trash bags); took the electronic keyboard, base guitar, acoustic guitar, two speakers, vacuum cleaner, telephone, other small appliances and bleach. We contributed to the burglar’s success by not setting the security alarm. God provided the security alarm through our neighbors. Various neighbors witnessed the burglar leaving the building with the above property and called law enforcement. Law enforcement went to Caddo and Munger, made some inquiries and our neighbors that frequent that intersection, after learning that the items the burglar had been fencing came from the Church, assisted law enforcement in apprehending the burglar. Around 10:50 am, one of our neighbors that frequent the Caddo/Munger intersection, came to the Church and identified the person who had purchased the musical instruments, speakers and appliances. Six of our Church Leaders proceeded to the home of the purchaser of the stolen property. Upon learning that the property had been stolen from the Church, he gladly allowed them to retrieve the Church’s property from a storage facility in East Dallas. All of the musical instruments, vacuum cleaner and one of the speakers have been reclaimed. None of the food was recovered, however, we were (through the generosity and commitment to feeding our neighbors) able to serve hot dogs, chips and iced tea to our guests and neighbors. The window has been temporarily repaired and our security provider has been notified to inspect and make any necessary repairs or adjustments to our system. We have also committed to increasing the lighting on that side of the building. This is an example of God’s faithfulness to the faithful. God continues to be merciful to those who choose to follow Him and serve His people. Loving God and loving neighbor reaped the benefits for our neighbors and Central Dallas Church. The Lord reigns! The Lord is victorious! Not sure when I first discovered Bread for the World (BFW), but I know that my life has been aimed in a different direction since that first day. BFW provides ordinary citizens and people of faith the simple tools and direction needed to become activists on behalf of the poor and the hungry at home and around the world. Thanks to my involvement with BFW, I remained fully informed on issues that affect the weakest and most vulnerable men, women and children on earth. But beyond reliable information, BFW has positioned me to make a difference in the lives of the impoverished by being a consistent advocate for the measures, issues and actions that attack the poverty that devastates millions of our brothers and sisters around the world. Art Simon, past president of BFW, once told us that every time a person stops to write a letter to Congress on behalf of the poor, a life is saved. Over the years, I've become friends with many elected officials thanks to BFW. Following the leadership provided by BFW, you can really make a difference. If you don't know about BFW, click on the icon or the title line and check it out. You can make a real and lasting difference by getting involved. The Center for Public Policy Priorities sent me a link to an amazing new tool for calculating the impact of "work supports," those public program benefits designed to assist hard working, low-income people, such as child care assistance, health insurance, the Earned Income Credit, food stamps and other public resources. The "Texas Family Resource Simulator" will allow you to find out and create customized graphs illustrating how family resources and expenses change as earnings increase, taking into account public benefits. A project of the National Center for Children in Poverty at Columbia University, with help from the Center for Public Policy Priorities, the tool is very enlightening. Check it out at www.nccp.org/tools/frs. To learn more about the Center for Public Policy Priorities, visit http://www.cppp.org/. "So, where do you get your funding?" People ask me this question often. In view of the common, popular question, and in light of the ongoing debate here about the role of public funds and the responsibility of churches and other faith communities to care for the needs of a city like Dallas, I thought a brief report about the sources of our funds might be useful. Our certified audit for FY2007 is hot off the press, so the numbers for last year form the basis of my report. . . .the balance included other income, interest earned and restricted funds released for use during the year. I'd love to receive your reflections and impressions on this breakdown. Live in Dallas? Action needed! Message: We have work to do with our Mayor and City Council members. The City Manager of Dallas is recommending cuts in the city’s budget that will have devastating effects on programs that affect the poor and the elderly in our community. 1. People Helping People. A city initiative providing much needed repairs to homes owned mainly by Dallas’ lowest income senior adults, as well as disabled citizens. Challenge: The budget for this program totals $1,232,284.00. Currently, People Helping People is set to be cut completely from the proposed FY08-09 budget. This would be a blow to several hundred Dallas homeowners annually who need the assistance. From October 2006 through June 9, 2008 (20 months), this important city program restored and improved almost 700 homes. The program leverages thousands of hours of volunteer involvement among the faith, civic and business communities in Dallas. The suggested cuts would be a blow to the Housing Department. This proposal is inconsistent with the city’s stated goal of building capacity inside the Housing Department for the sake of maintaining and developing the city's affordable housing stock. Action: Contact your council member, and other council members. Voice your support for the People Helping People program. Please email, call, write, and/or visit with members of the City Council today! 2. General Fund Allocation to the Housing Department. Challenge: Our Housing Department receives less than 1/10th of 1 percent of the annual city budget of over $2.6 billion. Earlier this year, the Mayor’s Work Group on Affordable Housing recommended to the City Council’s Housing Committee an increase in the Housing Department’s allocation from the General Fund to at least ½ of 1 percent of the overall funding plan or approximately $13 million for FY08-09. The city must invest more of its General Fund dollars in affordable housing if we are to reach our goals as a community. Case Study: Seattle, Washington, budgets well over $40 million annually for its housing efforts. Dallas, approximately twice the size of Seattle, budgets approximately $22 million annually, with all but $2.5 million of that amount coming from the Federal Government (assuming funding for People Helping People this budget cycle). Action: Again, please email, call, write, visit with members of the City Council. The Dallas City Council is in recess during July, but will reconvene in August. Approval of the budget will conclude at the end of September. Pass this information along to your network of friends and associates. To obtain contact information for your district's council member, go to: http://www.dallascityhall.com/. At last count I believe that Dallas County has reversed erroneous judgments resulting in the liberation of 18 previously wrongly convicted men. No, make that 19. Just last week Patrick Waller was released after spending 15 years in a Texas prison for a crime he did not commit. Waller is the 19th man in Dallas County since 2001 shown by DNA evidence to be innocent of the crime for which he was convicted. That's more than any county in the nation, according to The Innocence Project in New York, a legal center specializing in wrongful-conviction cases. Four former inmates who collectively served nearly 100 years in prison before being exonerated lined the back wall of the crowded courtroom during Waller's final hearing. The men freed by DNA testing in Dallas County have made a habit of showing up in court for exoneration hearings, and on Thursday they presented Waller with a prepaid cell phone as a gift. Thank God for advances in DNA technology! For an interesting research exercise do a Google search on "exonerated prisoners in Dallas, Texas. " The stories you can read there are amazing and, at times, very sad. The reports make you wonder how many more decisions need to be re-opened and challenged. Dallas County District Attorney Craig Watkins should be commended for his leadership in overseeing and pushing forward the entire process. I know he won't be letting up anytime soon. Another reason to give thanks. How would you feel if you spent 15 years of your life behind bars for a crime you didn't commit? Recently, I had a young professional guy, actually a banker by trade, visit me at my office. Looking for business, he dropped by to explain his bank's products and services. He also came trying to figure out who we are and what we are up to as an organization. Nice guy. In the course of our conversation he asked me what lots of people ask, "So, what do you do when a homeless person asks you for money?" Of course, unlike lots of people, I don't have a standard answer to that question. I told him, "In my opinion and in my experience, it seems to me that you just have to follow your heart in the moments of such encounters." The fact is, I do different things at different times. Later that same day I met with Dr. Ron Anderson, President and CEO at Parkland Health and Hospital System. My purpose was to brief him on our future plans for homeless housing and our need to develop a sound business case for ending homelessness in Dallas. As always when I have the privilege of visiting with Dr. Anderson, our conversation was wide-ranging. In the middle of our talk, he told me that Native American thought teaches that everyone has a song and every song should be welcomed and heard. "When another person shares their song with you, it is a precious gift and deserves to be heard, received, honored and enjoyed," he noted. "The problem is, too often, we don't want to know or hear the songs of other people, especially the poor, the homeless and the troubled," he continued. We don't want to hear the stories, listen to the songs or view the photos, do we? Can we keep it real here? Out of sight, out of hearing, out of mind--no threat to my desire to control my environment, so long as I ignore what is around me. This refusal to hear, to allow for the music from others, is the death of community. We need the music of others, no matter what informs the lyrics or the melodies. People need to be heard. People need to sing! I need to hear, to see, to absorb and to confront. Community is life lived in the music provided by others. Silence is not golden. It is deadly. Liberty's invitation from the "Mother of Exiles"
The air-bridged harbor that twin cities frame." Presidents Clinton and Bush (43) both advanced the case for inviting faith communities into the essential work of community development and renewal. President Bush created the White House Office for Community and Faith-Based Initiatives. The White House Office turned out to be limited in its direct affect on the challenges facing communities, largely because funding was never adequate for the task. However, Bush and Clinton helped to level the playing field in terms of faith-based and community organizations having a fair shot at landing federal grants for local projects. Central Dallas Ministries certainly benefitted from the new attitude in Washington regarding how the work gets done. On Tuesday of this week, Senator Barack Obama indicated his intention to take the process even further, if he is elected in November. ZANESVILLE, Ohio — Senator Barack Obama said Tuesday that if elected president he would expand the delivery of social services through churches and other religious organizations, vowing to achieve a goal he said President Bush had fallen short on during his two terms. Below you'll find the entire text of the remarks Senator Obama delivered in the Zanesville, Ohio event. His perspective on the role of faith in addressing community challenges is interesting. After you hear him out, let me know what you think. You know, faith based groups like East Side Community Ministry carry a particular meaning for me. Because in a way, they're what led me into public service. It was a Catholic group called The Campaign for Human Development that helped fund the work I did many years ago in Chicago to help lift up neighborhoods that were devastated by the closure of a local steel plant. Now, I didn't grow up in a particularly religious household. But my experience in Chicago showed me how faith and values could be an anchor in my life. And in time, I came to see my faith as being both a personal commitment to Christ and a commitment to my community; that while I could sit in church and pray all I want, I wouldn't be fulfilling God's will unless I went out and did the Lord's work. There are millions of Americans who share a similar view of their faith, who feel they have an obligation to help others. And they're making a difference in communities all across this country - through initiatives like Ready4Work, which is helping ensure that ex-offenders don't return to a life of crime; or Catholic Charities, which is feeding the hungry and making sure we don't have homeless veterans sleeping on the streets of Chicago; or the good work that's being done by a coalition of religious groups to rebuild New Orleans. That's why Washington needs to draw on them. The fact is, the challenges we face today - from saving our planet to ending poverty - are simply too big for government to solve alone. We need all hands on deck.I'm not saying that faith-based groups are an alternative to government or secular nonprofits. And I'm not saying that they're somehow better at lifting people up. What I'm saying is that we all have to work together - Christian and Jew, Hindu and Muslim; believer and non-believer alike - to meet the challenges of the 21st century. Now, I know there are some who bristle at the notion that faith has a place in the public square. But the fact is, leaders in both parties have recognized the value of a partnership between the White House and faith-based groups. President Clinton signed legislation that opened the door for faith-based groups to play a role in a number of areas, including helping people move from welfare to work. Al Gore proposed a partnership between Washington and faith-based groups to provide more support for the least of these. And President Bush came into office with a promise to "rally the armies of compassion," establishing a new Office of Faith-Based and Community Initiatives. But what we saw instead was that the Office never fulfilled its promise. Support for social services to the poor and the needy have been consistently underfunded. Rather than promoting the cause of all faith-based organizations, former officials in the Office have described how it was used to promote partisan interests. As a result, the smaller congregations and community groups that were supposed to be empowered ended up getting short-changed. Well, I still believe it's a good idea to have a partnership between the White House and grassroots groups, both faith-based and secular. But it has to be a real partnership - not a photo-op. That's what it will be when I'm President. I'll establish a new Council for Faith-Based and Neighborhood Partnerships. The new name will reflect a new commitment. This Council will not just be another name on the White House organization chart - it will be a critical part of my administration. Now, make no mistake, as someone who used to teach constitutional law, I believe deeply in the separation of church and state, but I don't believe this partnership will endanger that idea - so long as we follow a few basic principles. First, if you get a federal grant, you can't use that grant money to proselytize to the people you help and you can't discriminate against them - or against the people you hire - on the basis of their religion. Second, federal dollars that go directly to churches, temples, and mosques can only be used on secular programs. And we'll also ensure that taxpayer dollars only go to those programs that actually work.With these principles as a guide, my Council for Faith-Based and Neighborhood Partnerships will strengthen faith-based groups by making sure they know the opportunities open to them to build on their good works. Too often, faith-based groups - especially smaller congregations and those that aren't well connected - don't know how to apply for federal dollars, or how to navigate a government website to see what grants are available, or how to comply with federal laws and regulations. We rely too much on conferences in Washington, instead of getting technical assistance to the people who need it on the ground. What this means is that what's stopping many faith-based groups from helping struggling families is simply a lack of knowledge about how the system works. Well, that will change when I'm President. I will empower the nonprofit religious and community groups that do understand how this process works to train the thousands of groups that don't. We'll "train the trainers" by giving larger faith-based partners like Catholic Charities and Lutheran Services and secular nonprofits like Public/Private Ventures the support they need to help other groups build and run effective programs. Every house of worship that wants to run an effective program and that's willing to abide by our constitution - from the largest mega-churches and synagogues to the smallest store-front churches and mosques - can and will have access to the information and support they need to run that program. This Council will also help target our efforts to meet key challenges like education. All across America, too many children simply can't read or perform math at their grade-level, a problem that grows worse for low-income students during the summer months and afterschool hours. Nonprofits like Children's Defense Fund are working to solve this problem. They hold summer and afterschool Freedom Schools in communities across this country, and many of their classes are held in churches. There's a lot of evidence that these kinds of partnerships work. Take Youth Education for Tomorrow, an innovative program that's being run by churches, faith-based schools, and others in Philadelphia. To help narrow the summer learning gap, the YET program hires qualified teachers who help students with reading using proven learning techniques. They hold classes four days a week after school and during the summer. And they monitor progress closely. The results have been outstanding. Children who attended a YET center for at least six months improved nearly 2 years in reading ability. And the average high school student gained a full grade in reading level after just three months. That's the kind of real progress that can be made when we empower faith-based organizations. And that's why as President, I'll expand summer programs like this to serve one million students. This won't just help our children learn, it will help keep them off the streets during the summer so they don't turn to crime. And my Council for Faith-Based and Neighborhood Partnerships will also have a broader role - it will help set our national agenda. Because if we are going to do something about the injustice of millions of children living in extreme poverty, we need interfaith coalitions like the Let Justice Roll campaign standing up for the powerless. If we're going to end genocide and stop the scourge of HIV/AIDS, we need people of faith on Capitol Hill talking about how these challenges don't just represent a security crisis or a humanitarian crisis, but a moral crisis as well.We know that faith and values can be a source of strength in our own lives. That's what it's been to me. And that's what it is to so many Americans. But it can also be something more. It can be the foundation of a new project of American renewal. And that's the kind of effort I intend to lead as President of the United States. The last presidential election as interesting as this one, at least in my opinion, took place in 1960 when John F. Kennedy squared off against Richard M. Nixon. The Democratic Convention that year went down to the wire. I remember watching the final vote late into the night, until my parents made me go to bed. 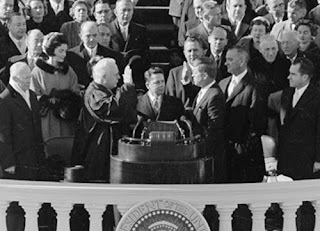 Kennedy prevailed in a real squeaker over Lyndon Johnson who salvaged the vice-presidential nomination out of the heated, at times vitriolic contest. The Democrats have been through a tough primary season and the nominee will be Senator Barack H. Obama. The interest displayed during the primary has been astounding. The race for the White House between Senator Obama and Senator John S. McCain will be historic and more than fun to witness. It is hard for me to imagine what it must be like running for the presidency. Dirty tricks, incriminating innuendos, and blatant lies await both candidates without a doubt. Senator Obama recently put up a website to answer all of the false claims and accusations that already are flying. I expect you've read some of the negative, anti-Obama material. Obama is a Muslim. False. He is a Christian. Obama was educated in Islamic schools. False. For a time in elementary school he lived in Indonesia and attended a secular public school. Obama has ties to radical Islamic groups that attempted to overthrow the government of Kenya. Will it never end? This one came from some off-the-wall Christian missionaries in Africa. Obama refused to use a Bible when taking the oath of office when sworn in as a U. S. Senator. False. He put his hand on a copy of the Bible when taking his oath. Obama's middle name is Hussein. Correct, it is. Would that be Mark Hussein Elrod? I love this story. Hundreds--and it will become thousands--of people are taking Hussein as their temporary middle name in support of the Senator and in opposition to the untrue propaganda about his religion. 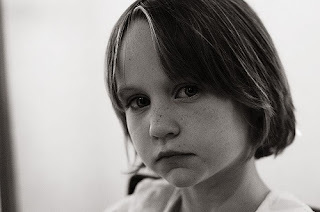 My younger daughter on hearing a report that Senator Obama was Muslim responded, "So what if he is?" Hmmm. I think she understands the U. S. Constitution. Proud she is a public school teacher! The fact is, of course, Obama is no Muslim. But our form of government does not prohibit anyone from seeking office on the basis of some marker defined by religion. My point here is not to be read as an Obama endorsement. That is not my place here. That said, if you oppose his ideas, his policy plans, his record in Washington or his choice in ties, fine. All I'm calling for is a commitment to honesty and truth telling on both sides. Wouldn't that be refreshing? Good for community, don't you think? Now that I've opened this can of worms, what do you think? All of my life and up until just a few weeks before his death, my dad listened for the sanitation workers who served his home in Richardson, Texas. When he heard their trucks in the alley behind his house, he would spring into action. Laden with cold drinks and ice water, he would insist that they stop, take a break and enjoy some refreshment. He appreciated what they did for all of us. Not to honor their hard work was for him, well, intolerable. My father respected workers. I suppose I got it from my dad--the whole notion that labor, hard work deserved to be honored and, even more certainly, to be rewarded with fair wages. Doesn't always seem to be the case these days, does it? 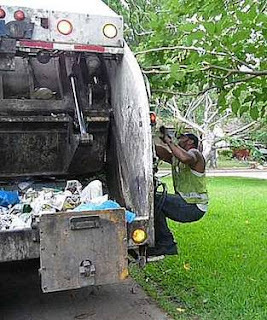 Along these lines, Dallas City Council Member Angela Hunt captured my attention last week when she rode on a sanitation truck for part of a day out in the Pleasant Grove section of Dallas. Click on the title line above and you'll be redirected to The Dallas Observer blog where you can read Sam Merten's entire story (the photo here comes from this source). I'd love to hear your reactions, as always. By the way, thanks for the report, Sam! Ms. Hunt believes that city employees should be paid a living wage. That concept is increasingly elusive to more and more Dallasites, as is true across the nation today. As I read the Observer's blog on the story, I was blown away by the disparity in pay between the drivers and the trash movers working in the back of the vehicles. Drivers earn between $11 and $18 an hour and are city employees. The trash haulers on the street and back of the truck are "temporary workers," earning minimum wage and often working over 12 hours daily. Again, check out the blog for more amazing and disheartening details about fair wages, working conditions and Dallas sanitation services. One more fact: many of the guys "on the back" are ex-offenders who have a hard time finding work anywhere else. As a result, they are left to take jobs like this earning low wages. Can anyone spell recidivism? I won't tell you about the city's idea regarding GPS systems and sanitation trucks! You'll need to read Sam's story to pick that one up. Again, I'll wait for your responses. I'll tell you one thing for sure. My dad wouldn't be pleased. And, frankly, I believe he's in a better place to judge such things than he was a few months ago.